Challah is one of the central iconic Jewish foods served every Shabbat and on some holidays. The bread is beautiful and smells delicious. The classic Challah recipe includes flour, eggs, sugar/honey and oil. Needless to say, challah is a very rich food and heavy on our stomachs. 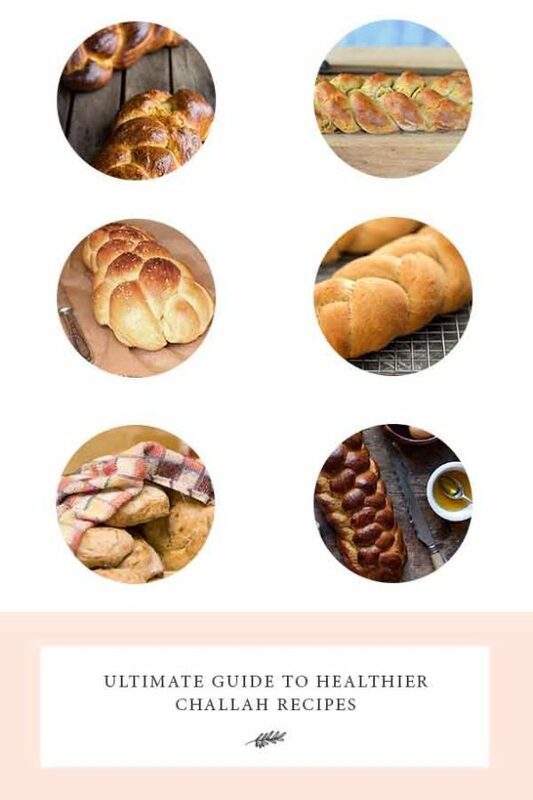 If you are serving classic challah out of obligation, here is some food for thought. We live in a more health conscious time. Because of this, healthier challah recipes are abundant. Sourdough is made with wild yeast, which neutralizes the phytic acid in bread, which is what irritates many peoples’ stomachs. It combines the health benefits of sourdough with the classic challah shape. Anyone a cornmeal fan? Corn muffins, cornbread, and yes, even cornmeal challah! Save this recipe for Thanksgiving too. To top it off and add that special touch to your bread, include the pumpkin seeds. This challah is beautifully brown and crusty on the outside and soft within. The loaf is also nut, coconut, dairy, and yeast free! The special ingredient is cassava flour. Lots of kosher bakeries created what are known as “water challahs” to cater to egg abstainers. This recipe creates a crusty, chewy, and sweet vegan challah. This adaptable water Challah is inspired by both Sephardic and Yekkish, German challah recipes that use less sugar than the traditional sweet egg challah of Ashkenazic cooks. The speciality in this vegan challah recipe is that it uses chickpea flour! What a concept, right?! But it proves to bake delicious sweet bread. Follow the DIY instructions to chickpea flour. The New York Times published this recipe. It makes one large loaf and tastes similar to the classical Challah we all know. This vegan challah uses flax seeds instead of eggs and olive oil instead of canola oil. The recipe is simple and it is easy to make. Whole wheat with brown sugar too! This recipe makes two big loaves. It has a smooth yet doughy texture inside. This vegan Challah uses aquafaba, which is just a fancy name for bean water. (If you want to DIY this, you can use the water in a can of chickpeas). The results: rich vegan Challah! This egg free Challah is perfect for every Friday night as it is simple to make and yummy to eat. It is cholesterol-free. Enjoy! This gluten-free bread is delicious and nutritious as well. This recipe can be adapted to make Challah rolls. It’s gluten free, dairy free and sweetened with honey or date paste. The great thing about this recipe is that it uses oat flour, which allows you to use it for the hamotzi blessing on Shabbat or other times. This is a gluten free and vegan. Due to the wet consistency of the dough, use a challah mold to make this look like traditional Challah bread. This is another recipe where you will want to use a challah mold. This texture is more cakey than bread. The recipe calls for coconut flour and almond flour. For paleo folks, this challah recipe includes protein powder, coconut and almond flour and avocado oil. When you are short on time, this challah flatbread recipe can be made super-fast. Add sesame or poppy seeds to these. Spelt is a species of wheat cultivated since approximately 5000 BC. You can prep this Challah using a bread machine. These cornbread loaves are dairy and gluten free. For the Hamotzi prayer, add a trace of wheat, spelt, barley, rye, or oats to this recipe. Your Turn: Have you found healthier alternatives to traditional challah? Please let us know so we can share the love!